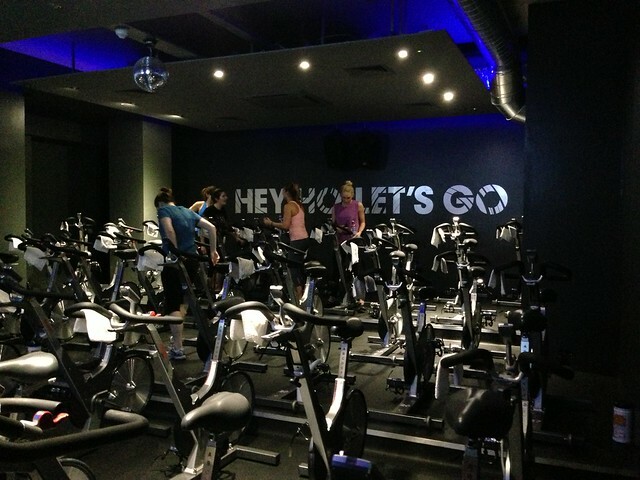 Recently we were invited down to Cycle Beat by the guys at Sport Pursuit for a bit of spinning action with a twist. 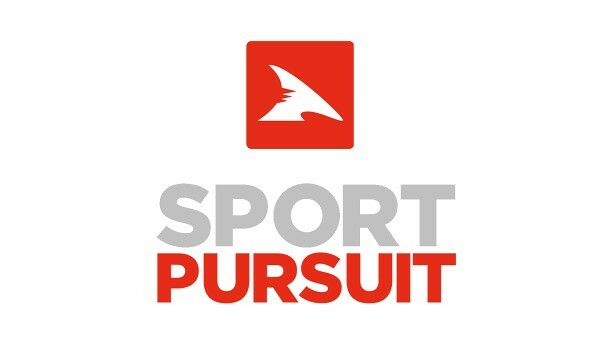 Sport Pursuit is a relatively new website that launches pop-up sales for all well known sports brands online. From Nike to Adidas, Puma to Under Armour - you name it they sell it. The main difference between Sport Pursuit and other pop up sales is that it is all online. No rushing to secretly located venues and barging past people to get your hands on the latest gear - it can all be done at the click of a button. That doesn't mean you can be slow about it though, you have to be quick, the best gear always gets sold out fast! What I like about the site is it is all dedicated to sports wear at very decent prices! I recently got a sports bra and a waterproof and windproof jacket for only £25 so there are some serious deals to be found on the site. 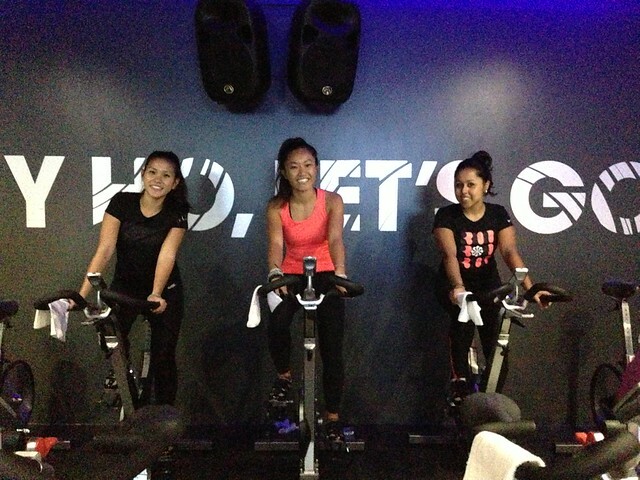 Spinning at Cycle Beat was a lot of fun. 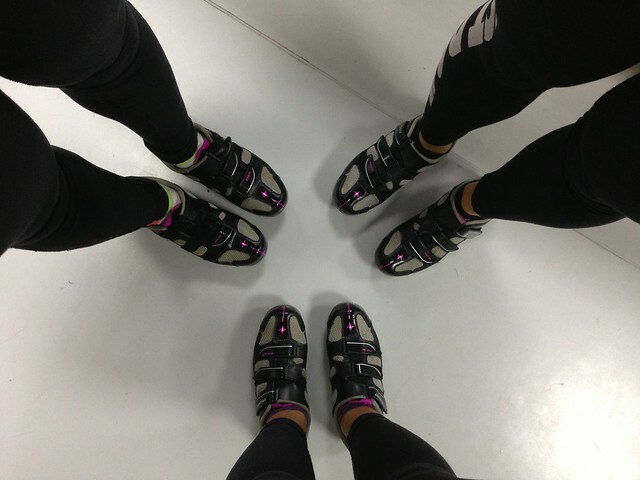 They're dedicated to spinning so the cycling shoes come as standard! 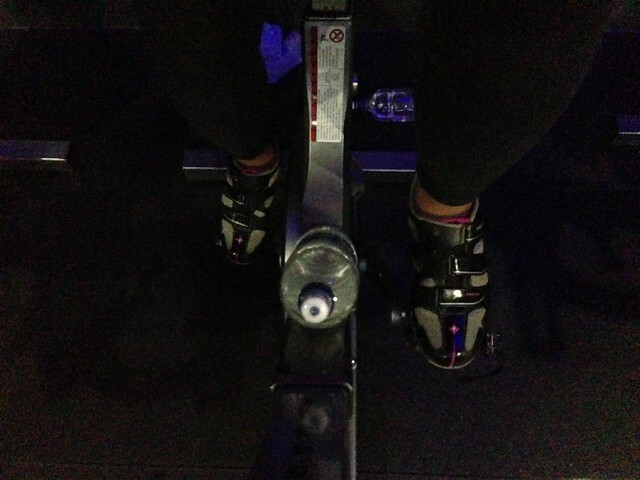 It was my first time in these and I really felt the difference in the 'pull action' while spinning- the shoes aren't the best looking but the work out you get from them is serious. 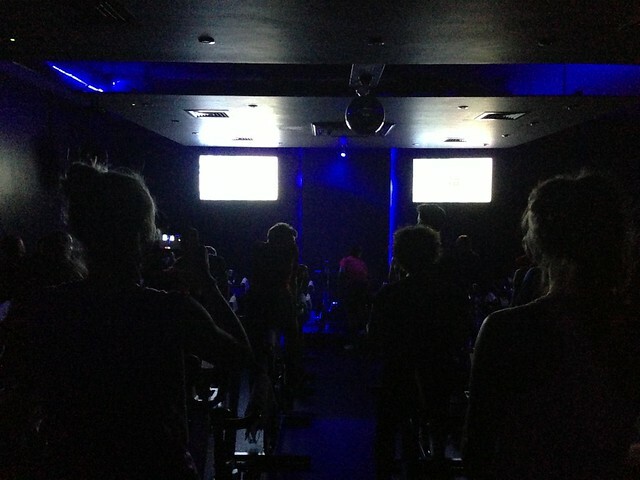 Now when I say Cycle Beat are dedicated to Spinning I'm not kidding. Each bike is linked up to a monitor that tracks your speed and resistance and ranks you amongst everyone else in the class. So for the competitive ones amongst us, this is defo for you! 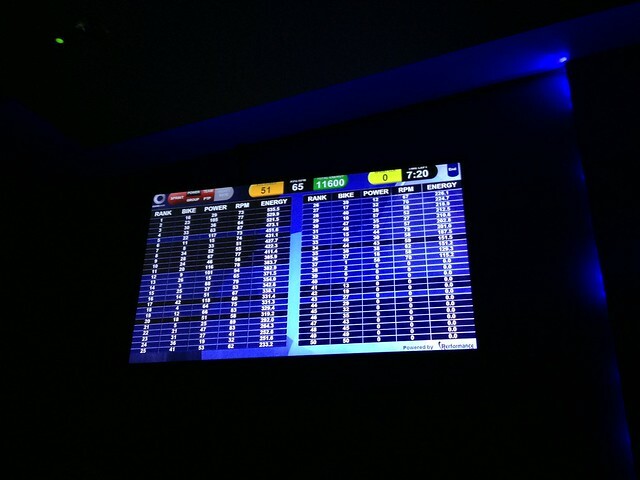 Get yourself seated at the front of the room otherwise you might end up like us at the back, not being able to see the screen, racing our arses off only to realise we weren't even in top 10... sigh. More practice needed! Spinning was the ideal bit of cross training and strength training I needed to be incorporated into my training schedule while my muscles were still tender from our RTTB and Copenhagen half marathon races- it helped keep some momentum in my legs without the impact of pavement pounding! Cycle Beat are currently offering £20 for 20 days... so that's £1 per day if you go every day. Get involved!